As I was assembling my Fuji X-Pro2 kit, I began looking for a lightweight bag to store it all in. I wanted the bag to carry my lenses in cases, and be easy to work out of from the back of a vehicle. I also use the X-Pro2 in the studio, so the bag had to offer something there as well. Would it be possible to find such a versatile bag? I use a silver metallic Sharpie for writing the focal length on the top of each lens case. This helps me easily find what I am looking for and helps to keep my gear organized. The lens case sizes I use for my Fuji mirrorless lenses are the Lowpro 8x6cm and 9x9cm, and the 9x13cm case for the X-Pro2 camera body. Lowepro offers a good selection of lens case sizes and I like the protection they offer. When B&H Photo had the Think Tank Photo CityWalker 30 Messenger Bag on special, I decided I would give it a try [the link is to Amazon because B&H is closed for Shabbat this afternoon and during the daylight hours tomorrow. Here is the link to B&H. —Ed.] I find the removable main insert very convenient and work out of it when shooting in the studio. I own several Think Tank bags, and the City Walker is the lightest of their bags I have, but it has the same quality and design I have grown to appreciate from them. I have used backpacks in the past, but I do not want the weight of a backpack for this kit. I have been using this bag for six months now and so far, it is working out well. It is lightweight, well made, and accommodates my gear the way I like to organize it. When scrambling to grab gear out of the back of a vehicle, I do not worry if the gear rolls around in the lens cases as I toss them in and out of the bag, plus I can easily see if I might be leaving something behind when it is time to pack up. When working on the road, I will often place a lens on the camera and another on my fanny pack for easy reach. The lens cases I use allow me to securely add lenses to my fanny pack or belt. My mirrorless system bag is not too heavy to carry, but more importantly, my gear is organized to my needs. No matter what type of shooting you do, taking care of your gear should be number one, and being organized is the first step towards creating the versatility you may need. Lance Evingson: "Hilarious—I used some white nail polish my wife had on hand to label the exact same lens cases. For a moment I thought I was looking at my own kit! Some of the same lenses too. I use a variety of bags, from messenger to day-pack-size backpacks, depending on what I want to carry. I never use photo bags that telegraph 'Here's $$$ in the form of cameras' at a distance. "I will have to get that silver Sharpie pen though. Thanks, that was fun." Trecento: "Oh, I like those lens pouches, particularly the silver marker on them. I've been using a combination of 1980s padded drawstring pouches (Nikon, maybe?) and the Panasonic drawstring pouches that sometimes come with their lenses. "Ah, but for a bag to put them in...you know those cheap trade show drawstring backpacks? Like this thing. "But, my kind of work is as different from Darlene as could be imagined. My task is documenting the world I come across and the daily lives of my family, so my gear is almost all compact Micro 4/3 bodies and lenses. My goal in using these cheap bags is mostly that they work and I already have them, tempered with the idea that I don't want to carry around my camera stuff in anything that looks like it might hold camera stuff. I really enjoyed using a diaper bag when the kids were smaller. Nobody is tempted to walk off with one of those. The other design factor that I'm sensitive to is that I get lower back spasms when I use shoulder bags instead of backpacks. "I'm certainly open to looking at better alternatives, and this article was helpful for that. Thank you Darlene." Eric Perlberg: "I always struggle with articles about gear which don't refer to the kind of photography one does. Natural landscape photographers who shoot from cars have much different needs than street photographers who walk, not to mention that sports, wildlife or wedding photographers have yet different needs that require different solutions. "As someone who walks with his camera and photographs situations in an urban landscape, I prize light weight. I hate that camera bags with all of their padding and dividers often contribute more weight than my cameras which I carry around. I doubt if any TOP readers use my solutions so I'll mention them here. "My cameras are lightweight mirrorless cameras. Some have fixed lenses and others are interchangeable-lens cameras. I keep my smaller cameras and my lenses in rock climber's chalk bags. Rock climbers keep powdered chalk in nylon padded bags with pull string closures, which are very light weight. When climbing, climbers need their fingers to securely grip tiny rock crevices so they dip their hands into the chalk in their chalk bags to dry their fingers to get better grip. These chalk bags come in an array of different colours and sizes. Many of them are nicely padded and are perfect for small cameras or their lenses. At home I hang these bags by their drawstrings (lens or cameras inside them) from S hooks hanging from a metal rail. I grab the chalk bag or bags I need for the day (I'm basically a one lens/camera/day shooter but occasionally I'll carry two small cameras or a few lenses) and toss the chalk bags into one of my Freitag messenger bags. "What I hate about normal camera bags is there is no real room for a jumper/sweater, some food, a scarf and knit hat, etc. I also hate that camera bags look like camera bags. YMMV. Freitag bags are made in Switzerland cut from tarpaulins from large lorries, are quite well made and don't look like camera bags. They're not too heavy, have a wide carrying strap and very water resistant. You can look at them at Freitag.ch and Freitag ship anywhere." kirk tuck (partial comment): "You can be too careful...."
Patrick J. Dodds: "I have a horrible, expensive and bulky Kata backpack. I've disliked it almost since leaving the shop with it. Since rolling my car on the way back from a wedding a while ago I've liked it a bit more however: the car was a write-off, I found my glasses somewhere under the seats in the back, but cameras and lenses were unscathed." Darlene Almeda adds: Thank you everyone for responding. I think I’ll add a few more comments that may answer some responders’ questions and give more reasons reasons why this bag system works for me. The lens pouches are how I store my gear between shoots on a shelf or studio cart. It is not unusual for me to grab one or two lenses from the shelf or cart and toss them into a smaller bag for a shoot elsewhere. Having the lenses identified in the pouches makes my life easier, and keeping them protected from drops and rough transport is another reason. I use light-weight bags, not padded bags, and if anyone uses a Think Tank City Walker bag, they understand these bags are not padded, except for the main insert which is removable. I work out of the back of a vehicle a lot, and I am rushed because we are usually on the side of a road. I do a lot of small town and rural shooting, so being able to toss lenses in and out of the bag while grabbing a tripod and other stuff just frees me up. Believe me, the back of the vehicle can be a mess by the time we call it a day. I do not change lenses a lot. If I did, I would resort to zoom lenses. I know pretty much what lens I want to use when I see what I am going to shoot. I will have the next focal length available just in case the perspective changes. In the fourth photo, the camera bodies are stored underneath the 23mm (X-Pro2) and next to 56mm (X-E2) outside of the removable insert. I do use Domke bags. I use the F-5XB for my X100t kit with the conversion lenses and enjoy it a lot. I have an older Domke Journalist (J-?) bag but find the metal clasp to be a poor design choice. It makes it hard to get into the bag, and I have scratched the back of a camera with it in the past. So even though it is a cool bag in some respects, I only use it to transport things other than cameras. How Weatherproof Are Olympus Cameras? Recently TOP had some comments about the weatherproof qualities of Olympus pro gear. I can tell you that it's hard to exaggerate how good these cameras are at keeping the wet out. I think I might have subjected mine to the ultimate test. Even though 90% of my exposures are made with a Sony full-frame body, I keep and carry an Olympus E-M5 Mark II. I use the Olympus for various reasons: it's easier to get greater depth of field with it when that's a consideration; the Olympus Pro zooms are the only zoom lenses I own; the IBIS is fantastic; and it's compact. And it's extremely weatherproof. Though I've owned Olympus weather-sealed bodies for a few years now, my first real test came in the Summer of 2015, squatting on the edge of a pond one misty morning. I had been using the Olympus, and it was in my open bag. With the Sony to my eye, I heard a "plop." It was not a frog. The Olympus with ƒ/2.8 zoom attached had fallen into the pond, into a few inches of water. I quickly scooped it up and dried it off on my shirt as best I could. Knowing that the camera had survived that, I felt confident using it on a beach in driving wind and a deluge the following Winter. The atmosphere and storm-whipped waves compelled me to photograph madly. I usually don't mind getting soaked, but I don't like to ruin camera gear. So I kept the Sony and its lenses back at the house we were staying in, and used the E-M5 Mark II with the 12–40mm ƒ/2.8 and the 40–150mm ƒ/2.8 Pro zooms. I got soaked to the bone. Of course, the camera and lenses were fine. During this period, I had gradually developed the practice of carrying more gear than I had previously. The main problem with that was that the E-M5 Mark II body didn't always settle into its compartment in the bag anymore. The day of the first big snow last year I did a lot of photography, in three sessions. I used the E-M5 Mark II and other cameras within walking distance in the first session. I drove someplace I thought might be good for a second session, and for the third session I was closer to home again. Still snowing the next day, I went out again, and reached for the E-M5 Mark II in my bag. It wasn't there. I couldn't find it anywhere. Tracing my steps from yesterday I would only be slogging through eight to ten inches of new snow. If I was going to find the camera I would have to feel it with my foot. There would be a lot of ground to cover, kicking at acres of new snow cover. Hopeless. So I wrote my little Olympus off as lost. Sometime later I replaced it with another used E-M5 Mark II body with low use, and I also replaced the 60mm ƒ/2.8 Macro lens lost with it. ...I found the lost Olympus! About two weeks ago, next to the path between the garden and house, there it was: lens-up, during Vermont's final mid-altitude snow melt. It had been out in the elements for four and a half months: four and a half months of hard, atypical, changing Vermont Winter. Raining and snowing, freezing and thawing. I grabbed it out of the snow and immediately took the lens off to look inside the camera and through the lens. There was some wet fog on an inner element, and condensation on the sensor glass. I took out the battery, which was dry. Camera and lens, separated, were placed in a sunbeam on a warm windowsill for a while, as I prepared a large glass jar with dry desiccant. The lens quickly cleared, and of course the sensor glass dried quickly. The next day was maybe too soon to check, but I couldn't help my curiosity. I put the battery in, put the lens on, and powered it up. Well, not perfectly. There is still one little problem. The power switch does not power the camera off. Because I have never learned to use my left hand to turn that camera off (every other camera in the world has a power switch on the right side of the camera body), I've always been prone to keeping it on (by accident) and relying on it going to sleep within seconds of inactivity. That still works, so that's how I continue to use it. For all practical purposes, the camera's function is the same as ever, even if the resale value isn't. I'm still keeping the camera and lens in a jar of desiccant in hopes that that last bit of water in the switch will dry. After this Summer's trip to Iceland I will probably sell the newer replacement body and newer lens for near what I paid, and keep the risk of failure here where it belongs. Over the last few days I've used that lost-and-found camera and lens to make over a hundred exposures. All perfectly fine. So if you know someone who's wondering whether Olympus means it when it says its cameras are "weatherproof," this Vermont photographer's answer is: oh, yeah. John Lehet was our most recent print sale artist. Here is his website. adamct: "I started reading this post pretty skeptical. I was expecting another story about holding a camera under running water or getting caught in a giant storm. I was wrong. That story is pretty amazing. I know how wet this winter was, and how great the temperature swings were.... Thanks!" scott kirkpatrick: "Olympus has been careful about weatherproofing for a long time. Way back when the Olympus E-1 was new, there was a legendary example. A hard-working PJ had assembled a work kit of an E-1 and the basic lenses of that era, 11–22mm, 14–54mm, 50–200mm, and 50mm macro, and it all lived in a single capacious bag. Her faithful dog, feeling a bit neglected in favor of all this useful gear, decided to make it his own, marking the bag and all of its contents as only dogs can. It took about a week for the unusual smell to be tracked down to its source, but everything was soaked, rinsed clean—and continued to function flawlessly." John: "I think my Olympus just surpassed my 1DX in the trust I put in it. Thanks!" DB: "Notes to self: a.) replace long-serving E-M5 with E-M5 II when convenient; b.) don't lend John Lehet any photographic equipment." John Lehet replies: Unfortunately this is far truer than you know. Though I had a multi-decade stretch of zero disasters, recent months have been off the chart. Since mid October I've had some crazy losses. I also lost a Zeiss Loxia 50 somehow—tumbled out of bag. And in late December I had a very expensive Zeiss Loxia 21mm pickpocketed out of my bag at night in the crowded city park where I took this picture. 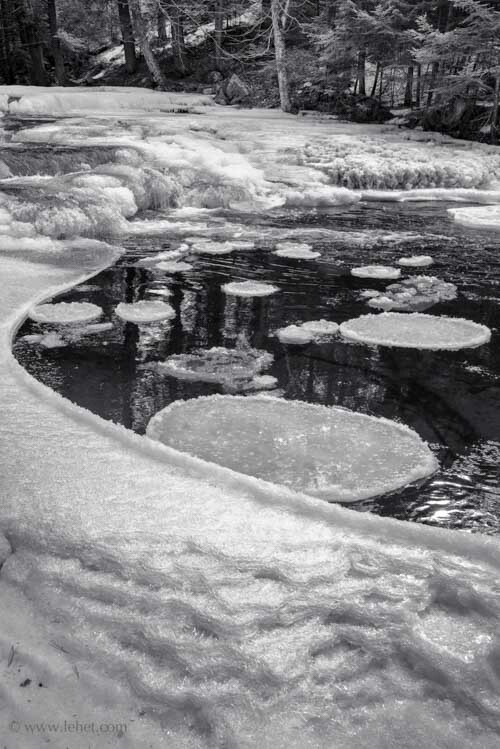 On one outing this winter, I fell into this river, but only knee deep. I managed to fall onto the bank as I fell through what I thought was solid ice, but which was only a crust made of ice crystals. I managed to fall onto the bank and not into the river. 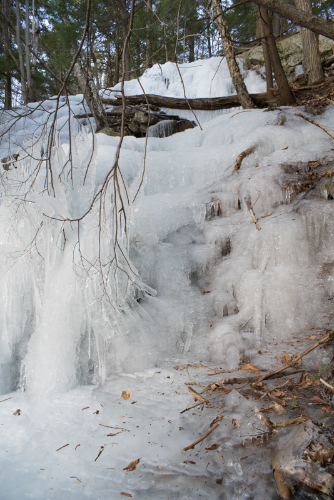 Then another outing, I slid down the bank on my back along the side of a frozen waterfall. It turned out the soil was basically ice, and almost as slippery as the fall itself. I had just lost one of my ice cleats from one boot. The debris on the ice at the bottom of the fall is all stuff that came sliding down with me. I was very lucky to have managed to stop there, since it dropped off even more steeply just below. In that case my Mindshift Rotation Pro backpack protected my gear perfectly, even though I ripped a coat and some jeans in the slide. The bigger and tougher pack instead of carrying two bags, as I had been, I think is going to help a lot. I think the cause of my disasters is largely that I am so heavily using so much gear. My gear isn't as simple as it used to be, and lately my use is exponentially greater. Also, in the fall my father died, and I think the grief was a kind of disability in terms of functioning normally. Someone joked about a GPS. In fact after these mishaps, my adult children, wonderful people, got me for Christmas a Gear Eye from Kickstarter. It hasn't shipped yet, but I think it is due soon. Colin Work: "I can't give any objective measures, but as a sailing photographer, I've written off a number of allegedly weather-sealed Canon items due to rough conditions at sea. I decided to give Olympus a try and in some three years of year-round sailing in sometimes horrible conditions, I've not had a water related issue." I hate to aid and abet noisemaking, but we're heavily into Spring Cleanup here at Sprawling TOP World HQ, and Amazon has this Hitachi gas-powered leaf-blower on sale as today's Deal of the Day. I bought an electric one last year specifically because it's very quiet, but it also has a cord, and a corded lawn appliance on a 1.7-acre property is sort of patently foolish. Do try to be considerate of the neighbors—and look at it this way, new gas-powered leaf-blowers are bound to be quieter than old gas-powered leaf-blowers. If you hate leaf-blowers of any sort, believe me, I understand. But the yard's gotta get cleaned somehow. The alternative is raking. Dennis Dunkerson: "I have always found leaf raking to be better exercise than playing pool—just saying." Today it's rainy again, and even a bit dull, and it feels almost like a respite from all the heartbreaking beauty. If that makes any sense. The new-to-me used GX8 landed here in bucolic TOP Rural Headquarters the other day. I slapped the Panny/Leica 45mm Macro on it, one of only two Micro 4/3 lenses I had in the closet*, and have been happily out and about shooting farmland. The picture above is a scene I've had a bit of a fixation about. There are hundreds of small farms around this general area, but I've tried to photograph that particular one about six different times, with three different cameras, from different angles, in different kinds of weather. Once when the corn was high. I'm not sure why. It's not like it's obviously such a great subject. It's just a subject I needed to understand, for some unknown reason. I'd try to give a print to the occupants, but I believe they are Mennonite, and I've been told Mennonites don't hold truck with pictures. They consider them...what? Decorative? Or trifling. Anyway they don't approve. Or so I've heard. I might try anyway, we'll see. If I did try to present them with a print, at least I might learn more about what they actually think, without relying on hearsay. I'm getting a lot of blurry shots with the new used camera, even in good light, which I think I can ascribe to the fact that the firmware of lens and/or camera aren't up to date and aren't working together in sweet harmony like they ought. So that's another thing to do. Having new-camera teething pains with the Panny is making me appreciate my Fuji a little more. At least it's dialed in. That work is behind me. But I'm surprised again at how readily everything on the GX8 falls effortlessly to hand for me; using it is like hearing from an old friend. The older I get and the more cameras I use, the more I think people are best off using whatever camera they love, no matter what it is. Whatever feels familiar, whatever you like playing with and looking through, whatever gives you pride of ownership. It really doesn't matter what it is. It only matters how you feel. When I took the picture above, the clouds were playing over the land, and I was able to try the farm buildings in shade or sunlight. In this one the foreground is sunlit and the buildings are in a band of cloud-shadow. To break my quirky little fixation on this motif, I'm not going to photograph this particular farm any more. The hardest thing about editing is picking the one; there's such a stern opportunity cost! This is the one means there are no others. I don't know if this was the picture I was after, but it's going to have to do. I won't be taking any more. Here's one of those sweet little ironies with which life is heavily laden: writing TOP has opened all sorts of doors for me. Most of them, however, involve me doing something other than...well, writing TOP. I've been asked to give lectures and run workshops and fly to conferences and give people private lessons in this, that or the other thing, write book introductions or articles or interviews, and of course go photographing—in Iceland or Prague or Utah in a cave up in the hills or what have you. The irony is that then I would be doing something else and not writing. Even going out photographing, if I do it too much, makes me neglect the website. And you gotta dance with who brung ya. For better or worse, it's this I do. It's probably what you want me to do, too, really. So after an hour or two of photographing farmland, it's time to get home and check comments. C'est ma vie. In April it's particularly tempting to chuck housework and the comment section and doodle around the countryside photographing all day. How long does it take you to get a new camera set up and dialed in? It takes me a couple of months, because I have to use it to know how I want it to be. But I think I'm casual about it. Too casual, probably. When I taught photography I'd put up a "quote of the day" on the bulletin board every day—just something I overheard one of the students say, usually, that I thought was eloquent or on point. So I got used to paying attention to what people said. I would also put one of my own pictures up on the bulletin board every week so that my students could see what I was up to myself. One week I put up a landscape from Northern Michigan that included several farms. That week I overheard two girls talking about it. They didn't know I was listening. First girl: "Whose picture is that?" Second girl: "It must be Mike's. Only Mike would take pictures of farmland." I hope you are enjoying April as much as I am. *By the way, apropos yesterday, I keep this lens around because I like its bokeh. LOL! Eliott James: "Farmland is a good subject. Photograph it as often as you like. The scene will reveal itself to you at some point. I really believe that, as I have proven it to myself. It may not be the scene you anticipate, but one will stand out eventually." Darlene: "I very much enjoy the tonalities and open space of your Farmland photo. When I want to get to know my new-to-me camera, I will 'doodle around the countryside photographing all day.' There is nothing like getting intimate with the new camera in my life. :-) "
T. Edwards: "I tend to take batches of pictures, obsess over culling/cropping/etc. for a while and then forget about them. I've returned to the same place for many vacations over the past 15 years and when I went through all of those photos the other day I found that I've taken many photographs of the same tree. Just a tree, in a yard, with phone lines running annoyingly through the top branches. Utterly unremarkable, yet I return to it year after year." Mike replies: I think I wrote about that once. The subjects we all have inexplicable weaknesses for. I can't find where I talked about it, but I mentioned that for some reason whenever I see waterfowl I think I need to take pictures of them. Kinda weird. Joe: "I think you should definitely approach the Mennonite farm owners. Worst case: they educate you about their beliefs, you make new friends I never lived around practicing Mennonites but I spent time around a lot of Amish (which I probably foolishly think are almost the same as Mennonites) both in Kutztown PA and the middle of Ohio, and I found them to be a friendly and talkative bunch, if I may generalize." Mike replies: I've enjoyed meeting the Old-Order people I've met so far. They live a usefully different lifestyle that I'm jealous of in some ways (strong community, lots of company, and an orderly quality to life), averse to in other ways (you can't listen to music, look at art, or drive). As people I've so far found them—generalizing, as you say—to be open, frank, and friendly. 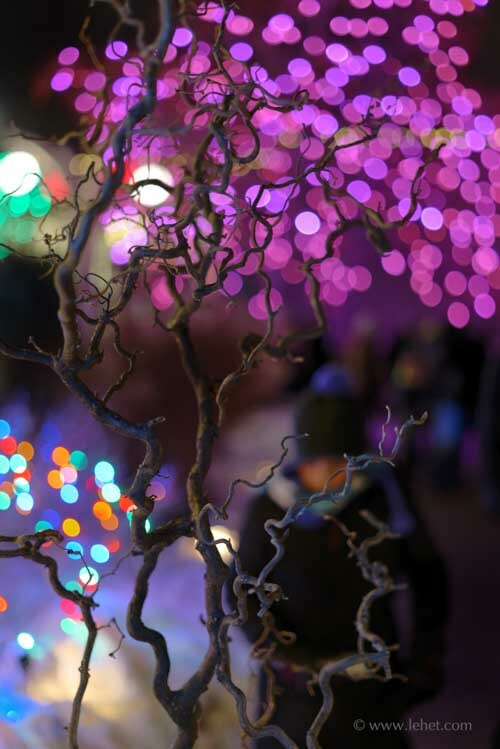 jim woodard: "Not to be snarky or trollish but I don't see any bokeh in this picture. Also wanted to say that I think you should take the time to do the things you enjoy besides writing TOP. Its your writing as a whole person that makes this such an interesting blog!" ...Gordon likes to use pan-sharpness to help "flatten" a three-dimensional scene into two-dimensional graphic elements. You can feel the tension between the two in this shot. It's a strategy he has a particular feel for and uses frequently in his work. Arthur Rackham illustration from Rip Van Winkle. But how did he know what I look like? State of the Ed. : Yr. Hmbl. Ed. made a reckless move yesterday—I reached across my body for something on the desk. This strenuous exertion produced a "twinge" from my lower back, and I "threw my back out" as they say—O, dolor! O, woe! Now I can move about only with the aid of my cane, and slowly, and in a fair amount of agony at that. This hasn't happened for years but it used to happen more often back when I was more active. In the past I could trace these events to some sort of strenuous and unaccustomed exercise one, two, or three days prior to the fateful twinge. This time, nothin'. What did I do? Nothing that I can remember. Amusingly, the older we get, the more random infirmities mimic age infirmities. Forget a word or a name when you're 20 and no one puts it down to age. Do it when you're 80 and people exchange knowing looks. I once had to walk for two weeks with a cane when my back went out when I was 27, and once when I was 42, and I didn't ascribe it to age then and no one else did either. But now, when I hobble around heavily dependent on a cane and moving as if I am halt and lame in the decepitude of decline, I'm sure I look like a character out of Rip Van Winkle (one of my favorite books, by the way. Accept no less than the Arthur Rackham illustrations, in the 1907 or later Heinemann reprints—the 1905 first editions can be $5,000 and up.) Anyway what I was going to say, if I could stay on topic even for one paragraph, is that there was a very interesting article about exercise for older people in the newspaper the other day. Whew. I barely made it out of that paragraph alive. Oddly enough—you will swear this is pure rationalization, I swear it is not—playing pool is very good for my neck and back. When I first got a pool table it banished my chronic nagging neck pain for the first time in twenty years. For the moment I'm in agony, but if patterns persist I should be better in one to three weeks. O dolor, O woe. State of the fence: I had a most interesting visit from Ralph Rizzo of Hidden Pet Fence yesterday. He recommends a full perimeter of buried wire, and says it's mainly a matter of training the dogs where the boundary is. As the dog approaches the boundary, it first hears an audible buzzing, then, as it moves closer, feels a "tickle," then a pinching, then a firmer pinching. Most dogs never even have to go beyond the training collar to experience anything like a "shock"—they get the idea. Their trainers help with the first hour or two of training, and then the owner has about a week of due diligence to do, patrolling the perimeter (marked with a line of small flags) with each dog alone on the leash several times a day, reinforcing with a high-value treat when they are warned by the collar and retreat to the yard. Furthermore, there's no chance of the dog getting "stuck" on the wrong side of the hidden fence, because the collar continues to warn and shock continually anywhere beyond the perimeter—the dog has to retreat to the yard to get it to stop. It turns out that hurting the dog is not advantageous to training, because it makes them fearful. So the idea is to find the level of discomfort that is unpleasant for the dog without being hurtful. He says that in 14 years in business he's only had to resort to a true "shock collar" twice, with particularly headstrong dogs, and in both cases the dogs did become reliably trained. What's more common than that is for dogs to continue to respect the perimeter even with the system turned off. Finally, innocent passers-by on the road won't be alarmed by Butters charging up to the hidden fence, because the fenceline in our case would be quite far from the road—35 feet from it on one side of the house and almost 50 feet from it on the other side of the house. Thankfully, it's considerably less expensive than even short sections of real, physical fence (chain link runs about $15 a foot in my area). I'm planning to have it installed in late May. Updates in June, thereabouts, for those who might be interested. You might remember one of several previous Mystery Man posts. So who is the devil-may-care young fellow behind the wheel? Hint: he was more famous later in his life. No fair doing an image search for the answer! Tonality quiz: I mentioned the other day that "cool with warm accent" is one of about a dozen basic, baseline strategies for making strong pictures. Another is compositional—the centered object. Put an object in the center of the frame on a background "field." This can be an effective strategy in many cases and in many ways. As an example, John Szarkowski wrote about this Carleton Watkins picture in Looking at Photographs (and if you don't have that book yet, either you've not been reading this blog for long or you are particularly headstrong—maybe we should get you a shock collar! )—he called it "as simple as a Japanese flag." (I might be paraphrasing...I do not have a good memory for the exact wording of quotes.) Note that the strategy often works even when the central object is surrounded by complex elements. So here's an excellent, randomly-encountered picture I ran across the other day when searching for examples of excellent B&W tonality. For a full fifteen life-points, can you guess the photographer? Hint: he was famous for his work in a different medium. Again, no fair searching! At the risk of being obvious, the centered object in this case is the lady's belt. Hope you have a very nice weekend. I have a date on Sunday that I'm looking forward to—I hope she is not put off when I hobble up leaning on my cane! Check back later for more Featured Comments in the Sony A9 post, and see you on Monday. "Open Mike" is the any-thought-that-comes-to-mind editorial page of TOP. It is scheduled to appear on Fridays, and is not guaranteed to be off-topic. Jim Simmons: "William Eggleston has claimed, perhaps in jest, that one of his primary compositional conceits is the X of the Confederate flag. With that in mind, you can see that in many of his images. The Thing in the centre, and outwardly radiating lines." Mark Sampson: "The young driver in the photo is Enzo Ferrari." Tony Roberts: "Enzo the magnificent!" David Mantripp: "That's Enzo Ferrari, isn't it?" David Millington: "Mystery Man: Jacques Henri Lartigue. Have a good weekend; good luck with the date!" Mike replies: CORRECT! It is Lartigue. ...Oh, all right, no it isn't. It's Enzo Ferrari. I guess my mystery man this time was not very mysterious. J. Williams: "Enzo Ferrari I believe? I actually got to drive one of his cars last week. Most fun I have had in a while." Tom (partial comment): "A genuinely useful book is Back Pain Remedies for Dummies. Every photographer needs a copy." Mike replies: Sounds like it's aimed at me. Tim Augur: "My sympathies. I put my back out three weeks ago pulling on a sock. Yes, a sock. Why? Precisely how? What was I doing that was different? Three days of agony and walking at a 45-degree slant." Mike replies: Sounds like what I and the guy in the Rackham illustration both have all right. "Then this evening after work, halfway through my traditional two-beer Friday, I leaned over to grab the stool, and next thing I knew—I'm bent over writhing in agony! Damn you, Johnston—you immediately came to mind, and you have yet to leave as I write this in near-spasm...."
Mike replies: Oh, dear. I certainly did not mean to put bad karma out there in the world. Rob Stone: "The photograph of the woman: Stanley Kubrick for Look magazine." Tom Bell: "I have no idea why...but I love that [Kubrick] photograph. Not sure why!" Sony said years ago that it was targeting the #1 spot among camera manufacturers, and yesterday we learned that despite mixed success in the quest so far, the company is still deadly serious about that longtime goal. The new Sony A9 takes dead aim at the working professional photographer in many fields, from runway and theater to sports. The flipping mirror is a horseless carriage. Sony's initial attempts to break away from it—the "SLTs" or beam-splitter cameras—were ultimately no more successful for them that they were for the first major innovator of that technology, Canon. (I loved my EOS RT—switched from Nikon to use it, back when the elder Bush was President—but you know I'm weird.) In mirrorless, Sony found a technology to migrate to that was more amenable to the company's many technological and engineering assets. The first real fruit of that tree was the A7 series, which was a great success with the market Sony wanted to target, spawning a proliferation of different models and a vigorous iteration of new generations. I'll tell you what else—the A9 suddenly makes it obvious what Sony's recent lens program has been about. It has seemed a bit mystifying to me, what with my artist/snapshooter's outlook. Who wants giant fast cost-no-object premium lenses the same size as Canikon's when the average Joe-Bob would have to amputate a foot to afford one? (Er, sorry. They're dear, I mean.) Didn't interest me too much. But now it's obvious that guys like me aren't the target—the purpose of the recent parade of the new Sony lenses was always to put in front of cameras like the A9. ...Which, by the bye, Sony says is the most capable camera of any kind ever. Lenses for pros for a camera for pros. We've seen that the low end of the market is dropping away as smartphone cameras impinge, and the high end of the market contracting as many cameras have reached the point of sufficiency, removing our urgency to upgrade. We already recognize that the manufacturers are responding to this by making better products and then charging lots more for them. Pros have long been a small market, but in some sense are (still) the tail that wags the dog. In the brave new world of the 2020s, that might become more true rather than less. The stakes are still high, in other words. Oh, and one more observation in passing: although Fuji gets an emphatic honorable mention in this sense, Sony still gets the nod as the most exciting cameramaker to watch. Agree? Disagree? Keith B.: "Whether or not the new Sony is accepted by the pro PJ/Sports community depends on three things: 1.Finder brightness. Gotta be able to see clearly when used in full 8000 footcandle sunlight. 2.Motion delay. Broadcast video cameras have about a one frame delay: about 1/30th of a second. This'll have to be that good, in both bright and dim light. 3. Absence of effective blackout/freezout. The action has to be live during high-FPS shooting. On a (D)SLR, you can manually follow focus while shooting at 10 FPS. No mirrorless has been able to do that...yet." Dennis: "I agree that Sony is exciting to watch. They're frustrating because they're not grounded in photography the way other companies are, so you really have to scratch your head when you see some of their releases and some of their omissions. But that may be precisely why they feel so free to take risks. And while Canon and Nikon are, at heart, optics companies, and many of us appreciate a system built on optics, the heart of Sony's system is the sensor, and we're seeing how they can exploit their sensor technologies. (Their sensor technologies also influence the rest of the market, so that makes them interesting, too). "And the whole market is changing...Nikon and Canon have always been the workhorses of pros, but more and more pros are diversifying and getting into video, aerial photography and whatever else it takes to keep earning a paycheck. For video, Canon, Sony and Panasonic are solid choices (without branching outside of the camera brands)...Nikon and Fuji aren't players in that market. "I've had a love/hate relationship with Sony for years. I shot A mount for years (Minolta, then Sony) but found things to dislike about it. I tried a NEX, but ended up disliking it greatly. Now I have an A6000, but still just don't take to it. (I prefer using the bigger Nikon that I bought when I left A mount). There's nothing wrong with the A6000 (which is far more than I could say about the NEX-5) but it's kind of a soulless camera. Fuji has soul; Sony has brains (but the gear is amazingly capable, so bring your own soul and you can do wonders with it)." Kenneth Tanaka: "Agree. Heartily. Sony has been my primary camera vendor/platform for nearly four years. In fact as I write this I've just returned from over four hours with an A7RII in my face on a project. Their cameras and high-end lenses have never failed to impress me, despite the most nay of naysayers against Sony's chances when they dived into the pool. Most innovative and bold camera maker today? Unquestionably, perhaps followed closely by Fujifilm. Canon and Nikon still win top honors for ruggedness and for ergonomics. (Nothing feels better to use than my 5D4.). But Sony's quickly and easily overtaking both of them in quality of electronics and quality of optics." David Babsky: "The A7S—which I use—was, and is, an astonishing camera: it'll shoot in extremely low light, and with a completely silent electronic shutter. Wonderful for close shots of musicians, actors, at weddings etc, without putting anyone off with shutter clunks. Ditto the A7RII...but with a very high pixel count (42 MP) for finely detailed photos—and for cropping, if necessary, afterwards. "The A9 just extends all that (but at 24 MP) to very fast shooting...20 shots a second with the electronic shutter. No flapping mirror, no clattering shutter, no noise (neither audible nor 'sensor noise') to speak of. Like Olympus' E-M1 and PEN F, but 'full frame.' I stopped shooting with a clattering mirror and shutter long ago. This really tolls the death knell of mirror-flapping SLRs." Dan MacDonald: "Sony will have to do a lot better with service and support if they want to attract top tier pros. Working in repairs I can say that my experience with Sony is that they have mediocre customer service and getting repairs done is often notably more expensive than Canon or Nikon and more time-consuming. In fact I would be willing to bet this is the reason Canon continues to dominate for sports and press photography, as in my experience they have excellent customer service for such a large company, second only to Apple. Not something that effects the enthusiast or even semi-pro photographer too much typically. Of course then there's the laughable battery life, and why haven't they released a 16–35mm ƒ/2.8 zoom or a 14–24mm? Both are popular focal lengths used by many pro reporters and sport shooters. However if Canon and Nikon are not taking mirrorless seriously at this point they will likely find themselves slowly going out of business. They already have a lot of ground to make up, and Sony will eventually get there." John McMillin: "When out hunting images, why not use this rapid-fire automatic weapon? Because you'll wind up with thousands of images to sort through and delete, if you have the attention span. Or because you're not working in the field of sports or high-speed motion analysis. Soon we'll just use high-res continuous capture. You'll have new software using algorithms to make the initial cut, or, what the heck, to automate the entire process. Progess? Not for most of us. "I do hope that this Sony catches on with the White House press pool though. The current clatter of snapping shutters is a huge distraction to those who want to hear the audio of the event, and disrespectful to the office, even with a Prez who deserves little respect. And the noise is as anachronistic and unnecessary as if they were shooting off flash powder." Mike replies: I agree. Maybe apocryphal, but an old story was that in certain jurisdictions Leica rangefinders were the only cameras approved for courtrooms because they were sufficiently quiet. With today's totally silent cameras it makes no sense to allow loud cameras in major press conferences. Or on golf courses at major events! JOHN GILLOOLY: "For me as a commercial photographer, this could be the inflection point where I actually consider a switch from Nikon DSLR. The size and silent shooting being the main differentiation points. Critical image quality and continuous tracking focus have been my sticking points for not considering the Micro 4/3 OM-Ds as a viable replacement. (Complement yes, replacement no.) I don't think Sony currently offers the glass that would get full time sports photographers to move away from Canon and Nikon. Sony would really need to offer fast lenses in the 400mm and 600mm ranges to pull that group." But black-and-white's long, 160-year period of dominance was a happy historical accident in my view. Not only did it "encourage" practitioners into a long and fecund concentration on tone and its many mysteries, but the basic "double negative" nature of the majority of photographic techniques meant that the print was a common necessity. We and the culture of our chosen medium are the richer for both those things. Today I just wanted to mention that for any practitioner (and I've always written for practitioners), seeking out and continually appreciating examples is an important learning tool as well as, of course, an ongoing delight. Regular readers know how much I adore photobooks, and there are many reasons why, mainly that they are the basic form of artworks created by photographers. But one lesser reason, for me, is that they're an easy and practical way of keeping examples at hand. That avuncular and energetic paragon of 20th century American landscape photography, Ansel Adams, even published a whole book called Examples. I've only had the opportunity to collect photobooks occasionally and sporadically, so my library is quite small, less than a thousand volumes. But one thing I'm always on the lookout for, even if I can't buy them when I find them, are books that are examples of fine B&W photography. I appreciate beautiful B&W for its own sake, and the pictures don't have to be to my own taste in tonality for me to appreciate them; I like distinct and coherent styles finely rendered in well-crafted books. It would be absolutely impossible to compile a list of great books that are examples of well-done B&W, but I'll mention a few now and more as we go along here (and, if all goes well, we'll be offering a great one ourselves soon, for a bargain price). If you work in monochrome, whether film or digital or both, it's a very good idea to keep a lookout for excellent examples by successful masters of tonality. You can find them anywhere if you're on the lookout. They need not be great books and they need not be by famous photographers. In the past I've bought auction catalogs and even fashion magazines because they contained examples of superb B&W. One little thing I love is a publication of a photo gallery to celebrate its fifteenth anniversary. It is Seeing Things, published by the Fraenkel Gallery in San Francisco in 1995. It's meant as a little shopfront window for the gallery's offerings and Jeffrey Fraenkel's excellent taste, and it contains a wide variety of work by many disparate photographers in both B&W and color. It pulls off the hard trick of reproducing many different kinds of work, mostly with great success. The cover is an snapshot, an exquisite one. As a book it's close to ephemera, but the judgement brought to bear on the reproduction was outstanding and this slender, modest paperback is a little gem. Then there's Ground Time, the legacy of Kent Reno. Kent died in 2011 of Parkinson's disease. He was a most interesting photographer, in my view. He started with an ambition to be a photojournalist, but was diverted into a long, successful career as an airliner pilot. At first he tried to practice professional photography in the spaces between flights, but he found that impractical, so he became a devoted amateur who photographed while he was on the ground all over the world in between flights—hence "ground time." He remained ambitious and serious. He was a superb printmaker, with highly refined judgement. Ground Time, his book, is a treat. Kent's taste in tonality is somewhat different than mine but it is highly coherent and purposive, and beautifully reproduced in the book. One could do worse from a life as an amateur photographer (amateur in the highest sense of the word) than to leave behind such a well-seen, well-made testament. Ground Time is hard to find, and so is this next book—Explorations by Ray McSavaney. Ray's name will be familiar to practitioners and fans of the West-Coast school of large-format photography. His book on the other hand can be appreciated by anyone. There's a bit of dissonance in it for me—his prose is foursquare and earthbound, but the pictures soar, and sing. I find them collectively to be very close to magical; as a photographer he's a great favorite of mine. I didn't know him. I hope he was a good guy. I'm a fan and a devoted admirer. In the present context, you could do a lot worse than to study Ray's great command of tonality. I'm apparently alone in my admiration for this next book. Mexico: the Revolution and Beyond is a superlative presentation of the archive of the Mexican working photographer Agustin [sic] Victor Casasola. If you don't mind historical pictures or if you have an interest in Mexico, this book is a very fine example of the preferred tonalities of an earlier era (of which you can also get a good taste from Shorpy). Produced by Turner in Madrid and printed and bound in Spain, it's a ravishing example of expert bookmaking. The reproductions balance on the razor's edge of spot-on. I guess that's enough for now. Even with my small library, as soon as I start talking about books, more and more start popping into my mind, both before I publish the post and afterward. Before I go I would be remiss not to mention two of TOP's previous Books of the Year, Richard Benson's The Printed Picture and our friend Keith Davis's Multitude, Solitude: the Photographs of Dave Heath. I hope you bought the former title during the stretch of time that I was urging you to, because it's already gotten pretty expensive. If you're interested in B&W tonality, the latter is one you need to have. It, too, is already out of print and rising in price. I should have bought two! At any rate, these are just a few of my exemplars. Yours could very well be different. Whatever style of photography you practice or prefer, however, collecting some examples helps you calibrate your eye and gives you something to strive for. And I have to say it has brought me great joy. Eric Brody: "I had the privilege of doing a couple of workshops with Ray McSavaney. He was a genuine photographic hero to me and to many others. Bruce Barnbaum prophetically said years before his passing that he'd not get his deserved fame until he died; sad but true. His book is inspirational but spending time with him was the real treat. He spoke incredibly slowly and with long pauses, but if one had the patience to wait, what came out was pure excellence. "I spent one of the best photographic afternoons of my life in a house at Bodie, just him and I, chatting and fiddling with our view cameras. His print reviews were incredibly thoughtful and well done. His death from lymphoma was just sad. John Sexton and others got together and have saved his archives. "Glad you mentioned him, Mike, brought back some wonderful memories." Joe Holmes: "My all-time favorite book of B&W photos is the crazy-wonderful Cherry Blossom Time in Japan: The Complete Works by Lee Friedlander. It's published by Frankel Gallery and printed, according to the description, 'by the laborious dry-trap process (in which one ink at a time is laid on its page and must dry before the next ink is printed).' I don't know anything about the process, but the images are incredible, at least in the hardbound first edition I found in a used bookstore a few years ago. "The other crazy but genius trick of the book is that the landscape and portrait oriented photos each get their own half of the book. Open the book one way and you can view the horizontal images until halfway through the book. Flip the book over and it turns into a book that you look through in portrait orientation. Two books in one! "Of course the most crazy-wonderful of all about the book is that Friedlander created an entire body of work about Japanese cherry blossoms in black and white! "Googling about, I see that plenty of used copies seem to be available, and far less expensive than, say, Friedlander's Flowers and Trees. (Be sure you're getting the hardbound—don't know if the trade version is printed as well.)" Mike replies: Your comment by itself is an excellent little thumbnail review of that book. Extreme measures in printing taken in the service of rendering gentleness, delicacy, and subtlety. I had to have it when it came out, even though I didn't have the money for it at the time. "Crazy-wonderful" is the perfect description, you hit the nail on the head. Roy Feldman: "Everyone has a different palette. For me any book by Salagdo and the Turnley French Kiss book provides the template(s) I try to achieve." Jeff Markus: "Ray was a very good guy, one of the best. In the ego-driven eighties/nineties L.A. photo world he was a calm oasis, a gentle soul. Always modest about his talent, which was very large. An absolutely sublime printer." Steve Caddy: "One of the finest, most nuanced black-and-white books I've ever seen—Pentti Sammallahti's Here, Far Away—was also a TOP discovery." Mike replies: And right on theme for this post, because it too is out of print now and hard to find. Buying photobooks is like buying a house—gotta seize the opportunities when they present themselves! brad: "Mike surprised me with his mention of my friend Kent Reno. I thought you would like a 'Kent Story.' That's Kent at the right. "Kent was a very cool customer. Picture Sam Shepard in 'The Right Stuff.' Kent had been a Flight Safety Officer in the Air Force, and was an excellent pilot. He was DC-8 Captain and had thousands of hours flying for Trans International Airlines out of Oakland, California. When seeing Kent he might mention something about one of his flights. He had a great sense of humor. His delivery was almost emotionless, like he was just recounting a humdrum event. "Kent said the crew was always playing little jokes on each other, so he smiles at the attendant and says, 'nice one!' Then the attendant showed him a fistful of large bills saying, 'She says this is for us.' Kent answered, 'I'd better go back and talk to her.' So, he takes the cash and goes back to her seat. He said she was well dressed but looked a bit ruffled and had been drinking. He sat in an empty seat next to her and introduced himself. Returning the cash, he said, 'we can't accept gifts. It's company policy.' The woman just looked at him and was quiet for a bit, then grabbed him by his coat and began screaming, 'who's flying the plane? Who's flying the plane?!?' He told the women the co-pilot was a very good pilot and that the aircraft was in good hands. He got her calmed down and they landed safely. "He figured the women had some illicit cash in her carry-on, and had gotten through screening at the departure airport (this was the 1990s) but then, en route, she figured Customs in New York would find the money and she'd be in trouble. So she decided to give it away rather than be detained in New York. "Kent was a really good photographer. We met through our Stock Photo Agent. Kent sold a lot of stock. He loved photography and loved flying. When he retired, he spent a lot of time on his photo projects. "Kent was a great guy. Thanks Mike." ...I meant to mention yesterday that the "Girl in Red" autochrome from 1913 is a good example of "cool with a warm accent," which is one of maybe a dozen or so basic, baseline strategies for making a picture appeal to people. Curiously, it doesn't work the other way around—"warm with a cool accent" might work or might not, but doesn't necessarily have any intrinsic appeal. The appeal seems to come from somewhere deep in our brains. Perhaps it's due to some deep species memory that hearkens back to 50,000 years of human existence during which the sight of a campfire in the deepening gloom of dusk was one of the most welcome sights any homo sapiens could see. Whatever the reason for it, 'tis a strategy that works well. Something to be aware of if you're not already. Tips 'n' tricks by the bushel! Carsten Bockermann: "That's probably why National Geographic at some point become known for what is called The Red Shirt School of Photography." Alan Carmody: "It pleases me that Christina Bevan did not have a smartphone, and that that moment was spent on contemplation and not on a selfie. Something about her clothes makes her seem contemporary." Adrian Malloch: "I teach photography to students along with mentoring experienced professional photographers. One subject I emphasise early on is visual literacy. It includes the concept of the emotional value of colour and what the photographic consequences are of that understanding. Yes, the warmth and safety of the campfire against the backdrop of the cool toned backdrop where danger lurked is very likely, in human evolutionary terms, to have created our instinctive emotional relationship with those colours. There are other likely colour triggers, such as aerial perspective—that's the phenomenon whereby distant objects become increasingly blue due to the accumulated effect of water droplets in the atmosphere; stereotypically, distant hills. To our palaeolithic ancestors, distant things are not emotionally relevant. That is, they had little to fear or like about them. More importantly, blue becomes associated with distance. On the other hand, the nearby warmth of skin tone is something we all have an emotional connection to. Warm colours have become intrinsically associated with closeness. "Of course colour is not the only dichotomy to imply emotional and spatial distance: light and dark, large and small, pattern and formlessness, sharp and soft, and many more are there to be exploited by the thinking photographer." Herman: "I suppose we see red more easily than keeping cool." David Raboin: "Berries against green foliage is a warm accent on a cool background and it's appreciated across many species." Dagnabbit, I had four more posts for yesterday and just ended up working on "stuff" all afternoon. I'm amazed at the amount of stuff I have to take care of. I feel like the Earl of Downton if he had no staff. Anyway, for Open Mike this week—a day late again—a personal question from a dog lover: anybody out there use any kind of electric fence? Dear Butters has taken to charging to the road when he sees someone (dog or human) he wants to meet. This is new. He bolts at full speed and ignores my recall command. I know him—he thinks he's being mischievous and high-spirited, just off to be sociable—but his new habit will never do. It's bad in all kinds of ways. I have an electric fence guy coming on Thursday and just wondered if anyone has had any experiences with one, good, bad or indifferent. My family had an ancient precursor of today's electric fences way back in the 1970s. The box on the dog's collar was half as big as a brick and about as heavy. The first dog, a male, would gather up his courage and leap through the fence, putting up with the shock for the sake of freedom. The second dog, a female, would skedaddle to her doghouse in the garage whenever we put the collar on her and refuse to come out. Not a successful experiment. But I assume the technology has improved. Chris: "Why not have a plain old fence? Never heard of electric fences for dogs; here, electric fences tend to be one-line jobs intended to keep cows or horses in a field!" Mike replies: I think you're thinking of an electrified fence. What I mean is a pet fence—of which there are two types. One is a physical wire buried in the ground which sends a signal to the dog's collar, first to sound a warning noise as the dog gets close, then to administer correction (a shock). The other kind uses the same effect, but happens when the dog gets too far away from a central transmitter. The latter kind creates a circle. Since I have a very odd-shaped property with only one problem area—the road in front, accessible only through the gaps in the buildings—a buried wire makes more sense. I'll know more on Thursday when the estimator comes. Merle: "About a decade or so ago, we visited a friend who had installed one. Couldn't keep enough batteries. His larger, older dog would sidle up close enough to the fence that it would give him a good buzz and just lay down until the batteries were exhausted. Then he could go do whatever he pleased. Even the owner thought it was funny." To this day, many photography enthusiasts find ready subjects in their own families. They're tolerant subjects, close at hand, and, of course, to each of us, highly worthy of recording! This picture comes from a set of early autochromes taken in 1913 by Mervyn O'Gorman, "O.G." to his friends, who, says Amanda Uren at Mashable, was "superintendent of the Royal Balloon Factory, later the Royal Aircraft Factory. He was an enthusiastic early motorist, and published O'Gorman's Motoring Pocket Book in 1904." Recent research suggests there is a hard "ceiling" to human lifespan at age 114, so Christina is all but certainly gone now. But according to the article, history gives us no details of her life. All we can see now is a young girl in red, her life ahead of her, posing patiently for her father. UPDATE: The Daily Mail has solved the mystery of the Girl in Red. First, the autochromes are owned by the Royal Photographic Society and are currently on display at the National Media Museum in Bradford, West Yorkshire, UK. The young lady is not the photographer's daughter after all. Her name was Christina Elizabeth Frances Bevan, and she was the daughter of a King's College philosopher, Edwyn Robert Bevan. The Bevans were family friends of photographer O'Gorman's. She would have been 16 when the pictures were taken at Lulworth Cove in Dorset, and she died in 1981 at age 84, with no known husband or children. Apparently the search for her identity engaged the attention of a number of amateur sleuths in the UK...which you can probably understand if you've ever watched PBS! Here's the article if you're curious for more. Thanks to Richard Parkin for sending the link. I want to thank everyone who helped me with my dilemma yesterday. The effect of reading all those comments had just the effect I wanted—it clarified my decision (not "the" decision, n.b., because others might easily come to different conclusions). Downside of the Sony A6500 for me: the cost of the two lenses I'd want (Zeiss 24mm ZA and 55mm FE) plus the stiff cost of the body make it too expensive (I'm poor right now). The fact that it offers no true raw is a glitch too, but then, all three cameras have drawbacks—the anti-intuitive menus on the Olympus, and the rumored "shutter shock" and less-than E-M1 Mark II-level IBIS of the Panasonic are similar nagging departures from a perfectly well-rounded appeal, in each case. The E-M1 Mark II is deeply impressive and probably the best all-'round choice technically, but the extremely high price coupled with the fact that its biggest strengths, while they'd be nice to have, do not dovetail very well with my actual needs, push it outside the pale. Again, just for me. With the GX8, I've used it, loved it when I used it, and missed it when it left. I love the tilting viewfinder, find the handling amenable, and tend to like the files. And Panasonic's lens offerings are extensive and excellent, never mind all the other Micro 4/3 options. So this morning I contracted to buy a used 12–35mm, and in the next couple of months I'll be looking for a black GX8 with low miles on its odometer. Next up on the GAS-treatment front: deciding whether I can live without the Fuji's B&W, which I love. X-Trans sensors are the best for B&W of any I've found. Probably should make a clean break, though. Shooting two systems has never worked well for me. I've been thinking of a few other things, too...maybe doing a OC/OL/OY project myself, for one thing. Several people said that they'd rather buy their cameras from a dedicated camera company than from an electronics giant, and I understand that, but in the brave new world of today, more diversified corporations might actually be more stable in the long run. I suppose the wild card is that corporation's devotion to its photographic products, which might not be as high at a megacorp as at a company where photographic products are the legacy business with proud histories stretching way back. Samsung doesn't need cameras to survive, for example, and can even complain about the incursion of smartphones on its camera business—even as it is itself churning out smartphones by the ton! Anyway it's always been a highlighted difference between Nikon and Canon that so much more of Nikon's bottom line depends on cameras and lenses. It makes the company weaker, ironically, not stronger. I had one more thing to say but I've forgotten what it was. If I remember, I'll insert it here later. [UPDATE: What I'd meant to add was that I'm going to start saving up for the GX[x][where x>8] right now, just in case the GX[x][where x>8] is an updated GX8 and doesn't ruin too many things that are good about the GX8. Who needs just the right camera? For perspective, a little story I've told before. Years ago, way out in the sprawling exurbs of Chicagoland, during my 10-year flirtation with golf (a sport for which I have negative aptitude, but loved playing for the sake of camaraderie with my brothers and cousins), I ran across a jaded, aging, Dickensian salesman in a stuffed, dusty, old-timey Dickensian golf equipment store. (No, he did not have a Scots accent, nor was he wearing plus-fours and tartan socks.) We got to talking, and eventually the conversation came around to custom-fitted clubs. "...And I can play with anything. You could walk through this whole store and pick any set of clubs at random and I could play with them. I'd adjust. I'm good; I can do that." His opinion was that experts aren't the ones who most need fitted clubs—beginners are. But, of course, beginners are the players least likely to invest in them. He pointed out that Lee Trevino used to beat guys at putting contests putting with a coke bottle on a stick, and beat guys at driving contests driving with a putter! (Both true.) But should a beginner learn golf putting with a coke bottle on a stick or driving with a putter?! I've come to believe something similar about cameras. I've used literally hundreds of cameras over the years—I've written dozens of published reviews. Quite honestly, I can use any camera. As long as it isn't super far-out and specialized, you could pick one at random and I'll adapt. Doesn't really matter what it is. If I had to, I could figure out how to use it for my purposes almost no matter what. Some might be more of a challenge, some less, but hey, I'd figure out workarounds. I'd be okay. It's beginners and people who are just getting started who can really benefit from using nice cameras, and who should spend time getting one that fits them, appeals to them, and feels best to them. It will make much more of a difference for them. Yes, it's fun (and tough!) for me to find just the right camera. But it's not essential. Three years from now I'm sure I'll be using something other than the GX8, and I'll be more or less fine then just like I'm more or less fine now. Seriously, if I were to get the itch to do an OC/OL/OY project with an iPhone 7+, a Panasonic GX8, or a Leica S, I'd probably have just as much fun with any of the three. I'd simply figure out what I could and couldn't do, what the strengths and weaknesses of each camera are, and then just do with each camera the kinds of things each is best at. So what camera I use is actually not a momentous decision. If for some reason I had to use my X-T1 for three more years, I'd be fine. If I had to go back to the old Sony A900 FF DSLR for three years, I'd be fine too. If I had to use nothing but the new iPhone for three years, I'd survive that as well. The point is the pics, in the end! ...And having fun, too, of course. Which I plan to keep on doing! P.S. Hope you don't mind the recycled illustrations. New example shots to come, I'm sure. My brother Scott always said I'm great at giving other people advice but not so good at knowing what to do for myself. Whether he's right about that or not, here's my dilemma. I love my Fuji X-T1, but I need a camera with IBIS (in-body image stabilization). Here's the reason. The three top contenders as of this moment are the Panasonic GX8, the Sony A6500, and the Olympus E-M1 Mark II. I've been thinking this over for more than a year now, and I can't decide. UPDATE: Sorry for the radio silence for the greater part of the day! Tough day working on finishing and paying taxes. Tim Shoebridge: "I own the A6500 and E-M1 Mark II. From an IBIS point of view there is no contest, once you try the E-M1 Mark II there is no going back. It is stunningly good." Mark: "Go with the one you lurv. You'll be regretful if you make the mature, sensible decision but in fact never have fun with it. Any one on your list is already more camera than most of us need. But why IBIS? Lack of it hasn't stopped other companies and other photographers from being extremely successful. The new Fuji X-T20 looks massively tempting from here...."
Andrew: "Easy: The Olympus has the best IBIS, the Sony produces the best files and the Panasonic is the nicest to use. So I solved the exact same problem by going the way of the heart: Fuji. Have fun choosing!" beuler: "I don't want to be mean, but knowing your equipment choices over the years, we all know you will pick the Sony. We know that because it doesn't have the sensor you are obsessed with. And I mean that only half in jest." Geoff Wittig: "All three contenders are great cameras in different ways. The Oly is perfect if speed is everything, like sports or wildlife photography, but I don't think that's your thing. The Panasonic has great video features, but...likewise. The strongest argument for the Sony A6500 is ruthlessly practical. The camera business is in distress, and when the music stops not everyone will have a seat. Panasonic is not broadcasting reassuring vibes. Olympus is still under the cloud of management scandal and near-bankruptcy. (Even Nikon is looking shaky!) Sony by contrast is colossal and moving from strength to strength. My suspicion is that five to ten years from now, Sony/Canon/Fujifilm will still by viable systems. For the other camera makers...I think there are going to be a lot of orphans out there. Pressure from cell phone cameras is only going to intensify." Michael Roche: "Get the GX8 Mike, you know you want to, so man up and pull the trigger." Roger: "The Sony A7II. You're in the ballpark cost-wise. It has 5-axis IBIS, it's mirrorless, glass is fantastic (even the 'low-end' non-G or -GM glass), and it's full-frame. I know that smaller sensors are up to the task but I prefer wide-angle glass; I really prefer my 24mm field of view not come from a 16mm lens. Rent one. I think you'll come away impressed." Dennis Mook: "My primary camera is the Fuji X-T2. I find its limited number of features, as compared to some other cameras, refreshing. Everything about the camera is straightforward, in my opinion. It is a joy to use and the image files are pleasing. However, no IBIS. IBIS is becoming more and more important as I get closer to being a septuagenarian. "Recently, I purchased an Olympus E-M1 Mark II to complement the Fuji and primarily for its extensive imaging features, one of which is IBIS, that I need or want to use on occasion. I find this camera very useful to use as opposed a joy to use. I know that owning both cameras is not an option for many. I find myself almost always picking up the Fuji unless I specifically need IBIS or one of the other features specific to the Olympus. The Mark II is very complicated when compared to the Fuji and not nearly as intuitive to use. However, I don't find it problematic as I had a the original E-M1 and the menu system is almost the same. Once you learn it, everything becomes easier. Both cameras produce pleasing image files and, if done right, can be matched for their overall 'look.' I really could be happy with either. "Currently, the only reason I would give up my Fuji camera is for IBIS. I find the IBIS in the Mark II utterly remarkable as I can consistently make sharp images handheld at 1 second. Truly remarkable. If it comes down to using a camera that I 'love' to use but won't allow me to produce the work I want to create versus a camera I 'need' to use that is not as pleasurable but allows me to achieve personal photographic success, I'll take the latter." Patrick Perez: "Lamborghini Murcielago. You can't go wrong." Andy Munro: "I like this sort of game of spending someone else's money. My vote is for the Panasonic. I like the interface and the control layout—even little things like the power switch fall to hand. I have tried Sony and Olympus and didn't enjoy the experience. I seem to remember that you liked your Sony but not the Olympus. So that's one to move off the list." john seidel (partial comment): "The Sony still has a 'lossy' compressed raw file in the A6500 without the option for a real raw file. If you shoot at night, you will eventually notice that all is not right with your photos and it will not please you to find out that you can do nothing about it. You can search online for many examples of this misery. I have the 5N and the A6000 and many thousands of night-time photos upon which I worked hard, to no avail. When I eventually learned that the problem with the files was not my doing but Sony's, I was both relieved and disgusted. What possessed Sony to do this? It is a betrayal of trust and, until I can afford a real camera, I can do nothing about it." James Moule: "I own the Sony Alpha 7RII and a bunch of Zeiss lenses and the Olympus E-M1 Mark II and a bunch of Olympus PRO lenses. I'm surprised to say that I would recommend the new Olympus. The image quality is stunning and the shutter release is almost instantaneous. The IQ has 'bite' to use your word. Shooting the Oly E-M1 Mark II reminds me of my old Leica IIIg with Tri-X." Frank Petronio (partial comment): "Sorry I don't understand why someone would want image stabilization? I mean I understand the marketing point but in practical usage what does it mean? [...] How many good photos have been made thanks to someone using IBIS, VR, etc.? Because I can't think of very many." John Lehet (partial comment): "I've never used the Panasonic or the Fuji, but I know I love IBIS. [...] Once you use IBIS, consistently, it's hard to go back." D. Hufford: "Oh, am I too late to sway you? "As IBIS/VR is important to you, I'd go with the Olympus. Maybe the GX8 is better than the GX7—gawd I hope so—but I doubt it can touch the newer Olympuses. "I have had a chance to use a friend's Olympus E-M1 in low light recently and it was about 1 utlraquadzillion times more effective than the GX7 which is rumored* to have stabilization. It was even better than the stabilized Panasonic 12–35mm on the GX7. Then again, I believe my Olympus E-P3 outperforms the GX7. "I have very steady hands and can get away without a tripod or support more so than most I know. However, in 2017 a camera without stabilization is at a disadvantage to one that has it. And of course, the longer the lens, the more important it is. I prefer it in body as if it is in a lens, it is just one more thing to go wrong. Since I change bodies more often than lenses, if something goes wrong, I prefer it go wrong with the body. "Speaking of wrong, the GX7. I reckon you ought not let my comment be the deciding factor as I am biased. I think the GX7 is the worst designed computer game camera I have ever used. That may affect my view of the GX8 just a slight bit. And besides, rumors and propaganda have it that Panny is going back to its field of expertise—making VCRs and cassette recorders. "*I'd swear it didn't. Can't be sure as the motion blurred photos match the soft, blurry, double-lined view of my warranty 'repaired' GX7's viewfinder." Mike replies: You're being too hard on the GX7, and I suspect got one that isn't quite right, but you did make me laugh, because, yes, with the GX7's IBIS the difference between "off" and "on" is exquisitely subtle. I know people who love the GX7 even so. And while I'm a bit stymied by my own question, I know one thing: I'd like to be better. ...Better than myself, I mean. There are a number of facets to this idea. I'd like more talent. I do have talent, but perhaps I've been uniquely situated in my career to understand more deeply than most the limitations of the talent I have. It comes, I reckon, from trying for so hard for so long to analyze and understand the talents of others through their accomplishments. I wish I'd had a better work ethic. Although maybe I'm being too hard on myself. I actually might not mind being as good as my best pictures, just more of the time. Maybe I should say that I wish my work had been more focused, more goal-oriented. I get distracted easily. But no, really, I wish I had worked harder. I wish I'd had more belief in myself. Self-effacement (pace poor "Thomas Rowley"), lack of self-belief, or low self esteem can be a formidable impediment for an artist. Perhaps for any person in any ambitious career...but I won't speculate on that. Confidence is essential, even if it is faked. Fear of success is a more common psychological disorder than is generally accepted. I got discouraged easily. I wish I had embraced failure more enthusiastically. To carry around the dead embryos of ideas, cosseting them lovingly and protectively, is Miss Havisham-ish; better to boldly attempt the idea when it comes to you and let it fail if failure be its fate. Growth involves failing early and often. Learning how to deal with failure is more valuable than money. Later I wrote two stories and one poem which unflinchingly drew on the darker and less savory recesses of my character, and you know what? That terrified me. They weren't even about me; the protagonist was clearly, cleanly fictional. Even so I hated what those stories implied about their author. So I did not have the courage to continue to mine that vein. I was aware even at the time that I had hit upon a key, and that I should have followed where those early discoveries might have led. Instead, I stopped writing stories. So, turns out my superego was possessed of a conventional finger-wagging middle-class morality, which makes me cringe to think it. Gad. A fragile ego is a wretched affliction. And I wish I'd had stronger principles. Remind me to tell you my story about the evolution of my styles of portraiture someday. Some day when taxes aren't due soon. ...But talent, mainly. I just wish I'd been someone with a little more of it, is all. Just someone who handles the camera better and sees pictures more easily. So I don't know who I'd want to be. But I know I'd want to be somebody better. I liked lots of other peoples' answers to my question better than this one. It was especially nice to be reminded of Sudek, via Nigli's "sick joke" (see the Featured Comment with the illustration in the "Idle Question" post). But this is what came up for me. Even if you'd like to be yourself, wouldn't you like to be yourself but better? Just wondering. Maybe you're already as great as you can imagine yourself being. I don't know your work, note bene. P.S. Literary figures referenced in this post: Thurber, E.B. Browning, Chatterton, Dickens, Whitman, Goethe, Frost, and Shakespeare. Don't think you don't get your money's worth around here. Peter C.: "I, personally, resolved a few days ago to stop comparing myself to others, and to only compare myself to, well, myself. When I compare myself to others, I'm always going to come up short, but by all measures, the work I'm doing right now is the sort of stuff I would have envied three years ago. This is far easier said than done. I am a naturally anxious person, and my first inclination when I'm unsure of myself is to look at what somebody else is doing, but I'm starting to realize how useless this is in any creative endeavor." Kent: "Ouch...stop that! Just turned 62 myself, and would rather not even get into weight and bad knees and all the rest. They tell me these things are related. "But as for getting better, I have a theory that you can and in fact should improve at whatever you do after the age of 60, assuming reasonably good health and the ability to find time to work at it, and I'm danged-well not letting go. There are so many things that haven't been achieved yet, for many (if not all) of the reasons you mention. And now, on the post-60 downhill stretch, when much of the interference from 'life' has been taken care of, I figure it's time to stop making excuses, chuck caution out the window, and devote every waking minute to achieving some long-neglected goals. Not giving a shirt about what people think every step of the way (without imposing, of course). It sounds kinda selfish, but I figure if I'm satisfied with the results, someone else out there somewhere will be happy too. It's worth a shot. "To hell with the 10,000 hour rule (how I hate that concept), although I'm pretty sure I've spent at least that much time on the things that matter over the years. To clarify, I'm not talking about becoming any kind of athletic champion at this age (although I certainly wouldn't discourage anyone so inclined from trying), I'm talking about the creative pursuits that still get me charged up, physically and emotionally. Photography is one, music is another, woodworking yet another...just generally creating beauty in any way possible. For pursuits like that, 60 sounds more like a starting line. "There's a catch though: it'll require work. The trick for us old farts, I believe, is to work smarter, with all of that experience driving and guiding the process. "I'd get started if I were you. :-) "
Peter Conway: "After reading your post, I was reminded of something I came across several months ago (no attribution): Somebody once told me the definition of hell: 'On your last day on earth, the person you became will meet the person you could have become.' Sobering, but thought-provoking." Dreaming of a SMALLER sensor?! I'm usually rather hard-hearted about the fate of companies—hey, it's a dog-eat-dog world out there—but I find myself mournful over the news that Panasonic is retrenching its camera business. They've done such a good job in my opinion, and come out with so many excellent products. One expects and hopes that a company that is fighting to compete and striving for market share will continue fighting and striving. I find myself regretting that its efforts didn't earn more response from the market and greater loyalty from the likes of us. I've owned and liked Panasonic cameras and lenses, from the GF1 to the GX7. I feel like I took the company for granted—all the while knowing it's not a faceless megalith, that there are dedicated individuals there who have worked very hard to create the company's photographic products. Did you ever wonder if you're a bit "obsessive"? I've sometimes privately accused myself of that. Well, I just finished reading a book about obsessive-compulsive disorder (OCD) on the recommendation of a TOP reader, and I absolutely do not have OCD! Wow. Nothing close, nothing like it. Any "obsessiveness" I might have is in the common, colloquial, everyday sense of the word only. That said, recently I've found myself fixating a bit—no, not in any clinically obsessive way—on the Sony IMX 269 sensor. As far as I can figure out, that's the name of the new 20-MP Micro 4/3 sensor in the Panasonic GX8 and GH5 and the Olympus Pen-F and E-M1 Mark II, although take that with a grain of salt—I'm assuming, and don't know it for a fact. I'm no expert on sensors. I know we're supposed to fantasize and GAS about larger sensors, not about smaller ones! But man, I am loving the look of the images that come out of those cameras. Twenty-five years ago I liked smaller format (35mm) and faster films (Tri-X and P3200) because I liked a little roughness. Pictures had a little bite and grain, a certain clarity. I see some of the same qualities in images from the IMX 269 sensor. They have that lovely "bite." I even love the quality of the noise, when you can see it. Go to your favorite picture site and plug in one of those cameras and look at the pictures that come up. Some people love the "look" of larger sensors and I absolutely get that, no reservations. Some people love the colors (and the B&W) possible with the X-Trans sensors. I get that too. But right now I can't stop looking at GX8 and E-M1 Mark II shots. Loverly. Who would you be if you could be any photographer? Most of us do other things, and use photography for recreation, or part of recreation anyway. But if you were free to do what you wanted full time, who would you want to be like? Recently I've been thinking about the distinction between artists who are completely "other," outside of ourselves, and artists we incorporate into our own egos somehow, even our own fantasy lives. I think you could do the same with athletes or actors or any other class of prominent people in any field you engage with. For white males of a certain age, the fantasy of being a "guitar god"—even if you don't play guitar(! )—is an example of the latter sort of ego-involvement. Big fans of certain sports probably indulge in fantasizing about being stars in those sports. Personally I don't think I've ever once fantasized about being a football player! I know my limits. It seems to me I have a lot of photographers I appreciate or admire but don't at all want to emulate...and then there are just a few who I identify with more closely. As a critic I like to think I have a generous capacity for understanding and appreciation of a wide variety of practitioners. But there are a lot of people I appreciate who I wouldn't want to be. I know I've said on this blog before that I wanted to "be" Henry Wessel, a photographer whose actual accomplishment syncs with the way I like to work and who gets the kind of results I tend to look for. I've felt that my affection for Josef Koudelka—including his uncompromising principles—is something more than just appreciation. There's a bit of hero-worship mixed in, if I'm honest. I used to be pretty clear about who I identified with—35mm B&W photographers of found scenes and real places. I could make a list. Now that everything's changed so much, I'm not so certain that holds true any more. But who would it be now? Jim Mooney: "You make an important point here. It took me a long time to realize that photographs I like to look at aren't necessarily the kind I want to take. That was a transformative discovery for me. To answer the question it would have to be Edouard Boubat." Steve Biro: "Motorsports photographer Pete Biro (alas, no relation that I know of)." Speed: "Easy. Pete Souza. For several years I have been making photographs for a non-profit. This has allowed me to be a 'fly on the wall' for their day-to-day work as well as events and...I really enjoy it...and...I think I'm pretty good at it. I used to think I wanted to be Iwan Baan or Tim Griffith. Travel. Lots of expensive equipment. Art. Recognition. Now my second choice." Alex Buisse: "I only had to think about it for a few seconds to realize it would be Sebastiao Salgado. An incredible life at the center of many of the key issues of our time, and the commitment and support (especially from his wife) to go out for years at a time, pursuing a single story. Also, some of the most exquisite photographs. He is my hero." Dogman: "Not that it's always great to be me but I guess I'm pretty satisfied within my own skin. I can't really think of anyone else I would rather be." Geoff Wittig: "For me it might be Richard W. Brown. He moved to the remote rural 'northeast kindgom' of Vermont after graduating college in 1968 and has since produced a large, visually poetic body of color photographs centered around farming and small town life. Sort of like Sam Abell, Brown's images are beautiful without getting saccharine, and they demonstrate a lovely color sense that's closer to Kodachrome than Velvia. His best known book is probably The Soul of Vermont (2001) which oddly enough is still available." mike plews (partial comment): "My one and only fan letter was to Wright Morris telling him that I was a photographer and that his work had touched me deeply. I told him that his work had awakened me to my surroundings and would keep me in the Midwest, probably for the rest of my life. He answered thanking me for the greeting and wrote that I would tell my own stories in my own time." Salvador Moreno Rivas: "Helmut Newton...do I need to explain?" Nigli: "I'd give my right arm to be Josef Sudek." Mike replies: When I was a kid that is what we would have called a "sick joke." For those who might not know, the "Poet of Prague," the great Czech photographer Josef Sudek, lost his right arm in WWI. However, there's a silver lining to the disability (and hence the joke): it was his army disability pension which allowed him the financial freedom to spend his life as a photographer. As it happens, there is a new book on Sudek by Ann Thomas of the National Gallery of Canada, published just last Fall. His style is pictorialist, his pictures dark and lyrical, but he easily transcends genre. Like me, Sudek was once apprenticed to be a bookbinder. Kusandha Hertrich: "Tough question. My answer for now would be a mix of Harry Calahan, Edward Weston, and Arnold Newman. Callahan's diversity of images amd his work with his family appeal to me. Weston just made beautiful work. And Newman is portraiture (again, to me)." Frank: "If I had the incredible luck to be a real photographer I'd try to stretch that luck a bit further and be myself as photographer...."
Just wanted to mention that we're one notch closer to the next book sale—working with a prestigious publisher in New England this time. Some absolutely marvelous picks, crème de la crème, which we'll be able to offer at a very nice discount. We've got work to do yet but it's moving forward. I love these book sales. Everybody wins, nobody loses. Publishers can light a sudden fire under some highly worthy but slow-selling stock, for which they're grateful; I get smacked with a little sack with a dollar sign on it, which doesn’t go amiss with me; and, most importantly, you get a chance to own, for far less than list, some books you're particularly well suited to enjoy. It's a happy thing all around, and makes me glad. No more to say but I'll keep you posted.